MTB Carpentry & Construction can transform as much or as little of your home as you like. One of the biggest selling points in a home is the bathroom. Bathroom renovations have changed over the years as people are wanting more and more space, light and modern fixtures and finishes. With free standing bath tubs, much larger showers and beautiful fixtures and fittings, there are so many fantastic products on the market for you to choose from for your bathroom renovation and we have designers and suppliers that can help you decide on whats best for you. Rain head or spray head shower rails – everyone has a different opinion – why not both? If you look at your bathroom and feel it needs a full overhaul we are at your service. It’s important to note that the moment you consider moving pipes and outlets your plumbing costs can become a hefty portion of your bathroom renovation project. If you have a vision, or would like to work with us to create a vision, we can provide you with a range of cost options. 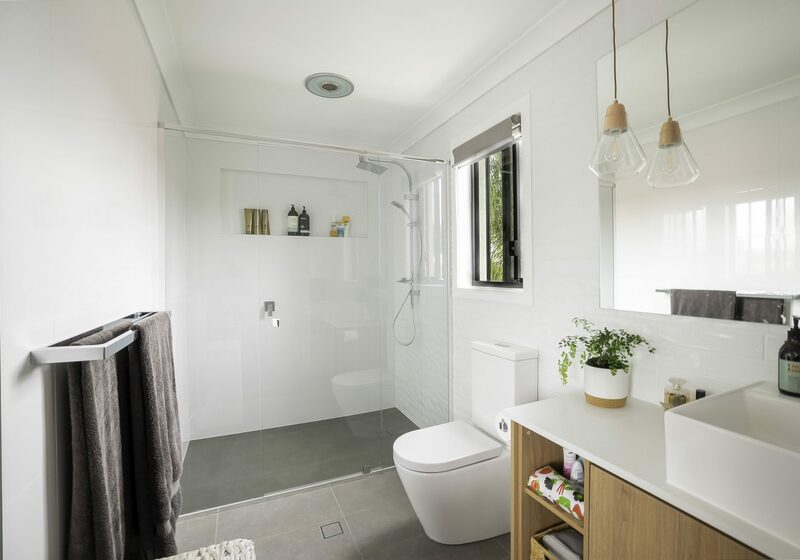 We can price the bathroom plumbing to be relocated as one option and other to keep it where it is, so you can weigh up if moving the outlets and pipes is worth the outlay. At MTB Carpentry & Construction we pride ourselves on providing our customers with all the information so they can make the best decision thats suited to them. How would a bathroom remodel work in my home? If you are selling or looking for a more cost-effective way to do your bathroom renovation, then a more basic bathroom remodel could be just the answer. If you like the size and layout of your original bathroom, we can just replace everything in the same location to reduce costs but completely change the way that it feels. Since neutral tiling is often considered the safer option for resale value, you can add a splash of colour using feature tiles, implementing only a few of the more expensive statement pieces can have a dramatic effect. Larger and lighter wall tiles, mirrors and semi or frameless shower screens help make the bathroom feel larger and more open. The reflection of natural lighting can put you in a good mood at the start, and end of your day. Whatever your situation, we will be able to assist you best. With our team of qualified specialists we can provide you with the bathroom you’ve always wanted. Contact MTB Carpentry & Construction today, for your free onsite project assessment.